MADNESS! 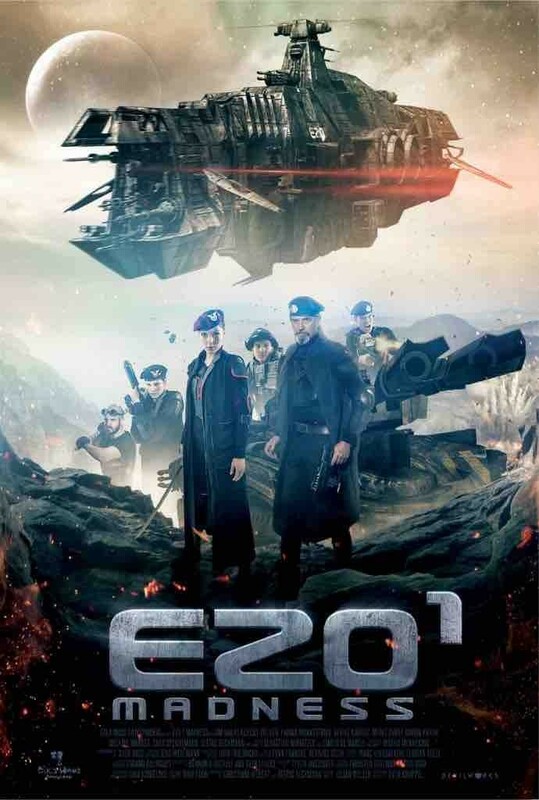 This massive hulking tank bulldozes a path through the ruins of a post-apocalyptic world, it's crew ordered to protect a sprawling MEGALOPOLIS, the last refuge of humankind, against survivors, renegades, relics of a long passed "War of all Wars“. Conflict is brooding behind the thick walls of the massive city. The IMMUNES, a caste of genetically anhanced humans, bred in-vitro, rule over the majority of the natural-born, so called BETAS with an iron fist. The BETAS have no other chance than to bow down to the rule, or die in the deserted wastelands outside the MEGALOPOLIS. A resistance is forming based on a legend about a battleship of an ancient enemy: The REPUBLIC OF EZO. The ARMY OF THE TSUCHIGUMOS emerges. When two agents of the NEMESIS, the infamous intelligence agency of the IMMUNES, come aboard the MADNESS on a top secret mission, the whole crew´s loyalty is put to the test. COMMANDER GORDAN GEMPAI distrusts the NEMESIS agents. He thinks heir alleged mission is to hunt down the YOKAI, a giant mutation roaming the wasteland, is just a front for their real assignment. While GEMPAI is trying to figure out the purpose of their mission, the enemies draw closer. After an away-team is seperated from the MADNESS during an attack of the YOKAI, the ship is on the verge of mutiny. Hunted by a giant monster, attacked by the TSUCHIGUMOS, surrounded by zombies and ancient machines of war, the only way out is through. WAR IS RAGING ONCE MORE!